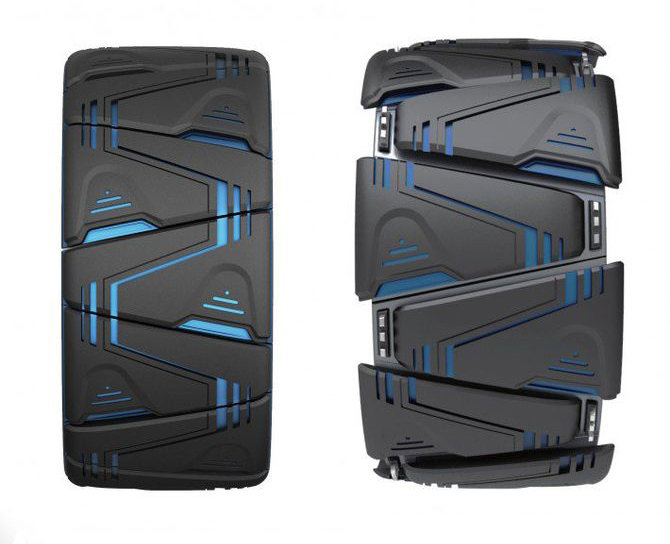 Kumho Maxplo tyre concept revealed. Which is the most important part of a vehicle? Perhaps the answer by any logical thinker would be nothing other than a tire. And it obviously is…! The reason for calling it the most important part lies in the fact that it is the only connection between vehicle and road surface. Even the most modern engine would be unable to perform well unless the tires of the vehicle are in proper contact with the ground, quite true, isn’t it? A quick glance on the entire history of the evolution of automobiles will reveal that tires did not receive much attention of design engineers compared to others like engine and ancillaries. So, changes seen in a tire are comparatively lower. But now things are changing swiftly. Let us see what Maxplo tyre has on offer! Kumho Maxplo is an airless tire designed to suit all types of road conditions and the most articulate feature is that it can do all this on its own! 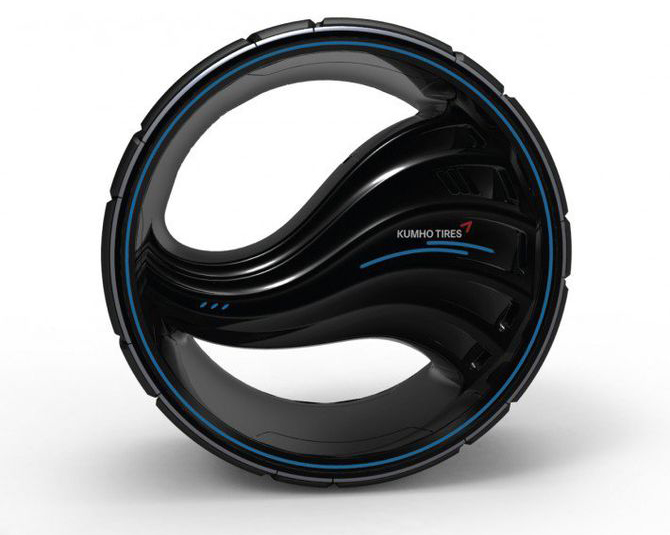 Yes… this tire senses the road and changes its shape accordingly! While it’s not always feasible to change the tire to suit the road, Kumho wants to achieve the same effect by changing the tyre tread. Because of this distinguishing feature, this tyre covers all terrains from a dry road to snow-covered road. For off-roading purposes, the tyre increases its cross-section enabling the vehicle to have a firm grip on the road specifically SUV's. Kumho designed the grooves on the tire in a very peculiar way. So, they take out all the water coming in the way of the vehicle. The Kumho engineers are working on the fine tuning of these grooves to aid the further performance improvement. The Maxplo tyre measures 700mm X 700mm X 250mm and weighs merely 12kg. At this moment, it is difficult to predict when these tires will start storming all the terrains. However, we hope that the day is not too far! Electra meccanica solo: Go Solo, Go Green…. !